7 inch built-in capacitive screen DDR256/800MHz/8GB, on average twice as fast GPS speed. FM transmission function, voice navigation and music will be directly transferred to the car's speakers for a better and louder sound. 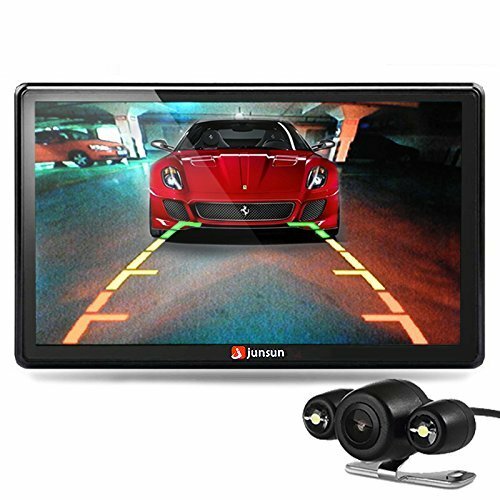 Kindly given to me to review the Junsun GPS is a low cost, large screen, GPS system. 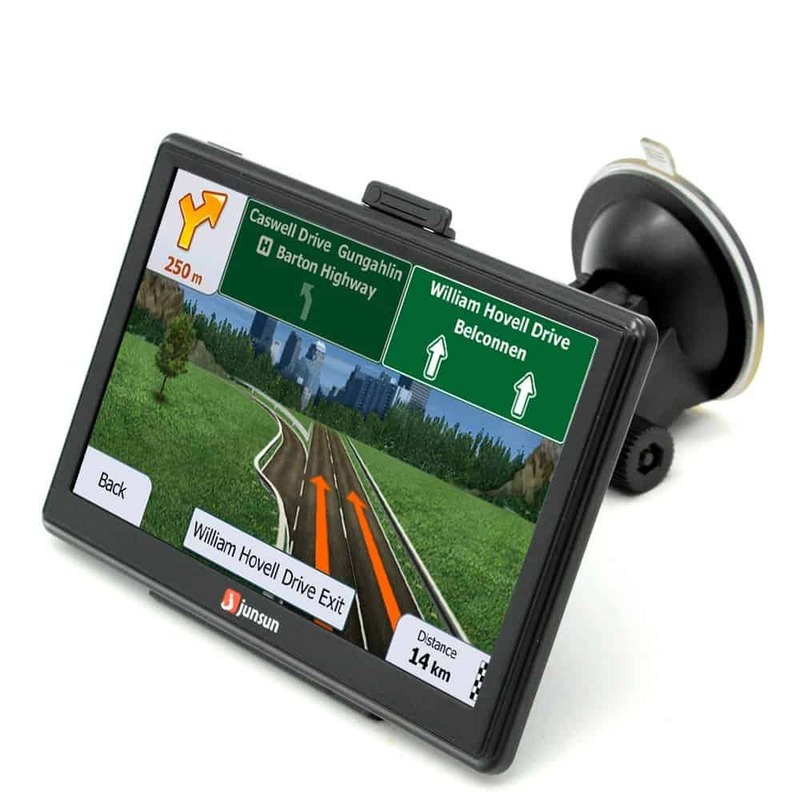 Along with the 7″ tablet GPS you get a windscreen mounting kit, in car charger and a USB cable. The windscreen mounting kit comes in two parts, the arm that attaches to your windscreen and a back plate for the GPS. The back plate clips on to the GPS and while it does a good job of keeping it in place it can be a but tricky to remove the GPS when not in use. The back plate also features a little kickstand allowing you to prop the GPS up, for example when using the media playback features. Although this is a GPS it’s basically a 7″ tablet with a windscreen mount. It was therefore surprising to find that rather than running Android it runs the rather dated Windows CE. The menu interface features nice big buttons which are easy to use when this is mounted in car. There are loads of additional options such as music, video and photo players, but the main app you’ll be using is the iGo primo navigation app. This feels really dated compared to Google Maps, Waze, TomTom etc. The address searching feature is horrible, rather than just popping in the postcode you have to fill out a load of details, starting with the country. Despite this frustratingly slow system the actual getting from A to B was OK. The 7″ screen gives a nice clear view of the map, and despite being sunny the screen was easy to see. Audio directions are clear and if you happen to take a wrong turning it quickly reroutes to get you back on track, although note it only gives basic audio direction commands and unfortunately doesn’t read out road names, a feature I find very useful when driving round an unfamiliar area. So if you want a GPS system to replace using your mobile but don’t fancy shelling out a lot of money for the well known brands this is certainly worth considering due to the low price. Overcome the dated operating system and terrible destination picker and you actually have an OK sat nav system on a really nice sized screen. Navigation 3D, no need to worry about complex subway navigation. 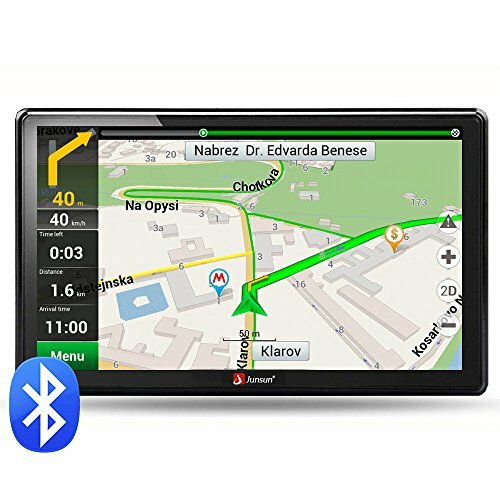 Smart voice travel for the entire route, no need to worry about directions. Upon purchase, a Dual USB car charger is included. 7 "Super Wide resistive touch screen, clear to the view convenient to use in the car. New detailed maps, information rich poi, restoration, tourism and other information of life combined for a variety of industries. Playing format: Audio (MP3, WMA) and video (MP4/MPEG/MPG/AVI). 3D navigation, no need to take care of the subway complex and intelligent voice the crossing of the labyrinthe. journey all the way, does not have to worry about the water from the road.